With too much capital chasing too few transactions, the middle market is ripe for change. Charlie Perer predicts an explosion of debt options for non-sponsor backed companies over the next 10 years. He notes that as non-banker lenders offer customers more service and flexibility, banks will respond by consolidating. The lower middle market debt landscape is on the brink of change as too much capital has no place to go. Right now, there are more than 50 public business development companies (BDCs) and an estimated 30 private BDCs representing billions in capital. According to the Small Business Investment Company (SBIC), there are more than 300 SBIC licensees with capital commitments totaling upwards of $20 billion. This capital is primarily earmarked for private equity backed companies in need of debt. Assuming an average loan size of $10 million, this is enough capital for more than 5,000 deals per year. Right now, roughly 1,000 lower middle market deals are announced each year, and the banks still control this market. This means there is a congestion of capital meant to follow private equity, but it can’t. The past 15 years have brought about tremendous change in terms of debt alternatives for sponsor-backed companies in the lower middle market (see chart on the next page). What used to be a very conservative lending market with limited lending options has been revolutionized and transformed. The proliferation of BDCs, SBICs and family office or private capital credit funds has created a hyper-efficient market which has generated tremendous liquidity. It also has generated extraordinary leverage and a lot of risk — and this is just from the banks! There are presently not enough sponsor-owned companies to go around, and only so many sponsor-to-sponsor deals or roll-ups can be done in the lower middle market. Private equity firms have never had more options and capital providers when it comes to debt financing in the lower middle market. Family or entrepreneur-owned businesses, on the other hand, do not have near the amount of non-bank lenders and products available to them. The flavor of the month at banks and non-bank capital providers is “sponsor coverage groups,” but non-sponsored companies do not have the same options. This is going to change. The growth of credit funds evolved from the growth of private equity funds. Most markets, at some point, become efficient and the current state of the lower middle market sponsor market — traditional, old-economy companies that generate at least $5 million in EBITDA — is efficient. Each sponsor now has a variety of options ranging from aggressive bank financing to BDC, SBIC or a combination thereof. Over the next 10 years, many predict there will be an explosion of debt options for non-sponsor backed companies that generate similar levels of EBITDA, which, for the purpose of this article, will be $10 million in EBITDA or less. Historically speaking, these companies have been unable to obtain leverage or more sophisticated financing packages because they lack the backing of institutional equity. The majority of business owners do not have deep pockets. Ted Koenig, CEO of Monroe Capital, says, “The biggest change will be applying enterprise value lending to the family and entrepreneur-owned businesses who have become more sophisticated in their needs. The market opportunity is simple — too many debt funds are sitting on capital with nowhere to deploy it. The banks still control this market, and capital providers will go after this market share. It will not come without risk or mistakes, but non-bank lenders will have a bigger opportunity to provide capital to thousands of companies that still rely upon bank financing. Firms like The Credit Junction are leading the initiative on the lower end of non-sponsor backed companies by providing a hybrid lending model that combines the best of C&I loans with ABL, while delivering more availability through a combination of tech-enabled solutions, old fashioned underwriting and tactile account management. Clients also get to control their own cash, which is a major change from the ABL market. The end result is more availability and flexibility than a traditional ABL in return for a higher cash coupon. The ABL business has proven to be highly adaptable given the relatively small amount of non-private equity backed clients that qualify for true cash flow lending. According to Matt Grimes, managing director in Ares Commercial Finance’s ABL group, “The shift towards non-bank lenders in the family-owned/entrepreneurial lower middle market already has traction. Although banks will always have a pricing advantage due to their lower cost of funds, non-bank lenders are not constrained by federal regulations that restrict a bank’s ability to provide the same amount of liquidity as non-bank lenders. Super G Capital’s cash flow lending group was formed to finance the “senior stretch” or “air ball” risk that ABLs and banks usually decline to finance. A shortage of capital exists for companies that need more than their bank or ABL are willing to provide and are too small for traditional mezzanine or unitranche capital. Most of these companies are family owned and do not have the equity backstop that typically comes with private equity. Super G’s goal is to fill this void. These companies also need flexibility from their lender and the ability to amend loans when necessity dictates. Lending to such companies is often not for the faint of heart, but these companies can provide solid credits. While the level of risk is higher, the market opportunity presented by non-private equity owned companies is larger. Creating a bank-like offering with more flexibility is the goal. This clearly comes at a price. Each borrower needs to decide what is best for it, but the availability of this option is only going to grow as more firms build a proven static pool of performing credits. Speed and service are also superior as spread lenders have only one source of income: lending. Lending is not a loss leader at non-bank spread lenders the way it is at banks. Banks will begin to offer more structured products to non-sponsored companies when market share erodes to a certain point. Again, banks lost market share to BDCs and other funds that would have been bank-type deals 10 to 15 years ago, but now, with many options for more leverage, the game has changed. This trend will inevitably happen in the non-sponsored market, but it will come in different shapes and sizes. The world is still round, and most folks are fairly rational. Non-sponsored companies will never get the same leverage and structures as sponsored, but their options are going to increase. Today’s market is inefficient because of the risk and lack of equity support. To combat the impending changes, the national banks will de-centralize and shift power to regional levels, offering more flexibility and services. Presumably banks will use M&A to attract strategic acquisitions of new lending entrants as a way to add new products and services. As reported in past issues of ABF Journal, many banks now own factoring, ABL and SBIC funds, so they are transforming as well. The capital drag caused by too many debt providers focused on private equity-backed companies is going to cause competitive pressures for banks. Banks will take a wait-and-see approach and then commence M&A activity to consolidate as they have in cycles past. Banks will not sit idly while their core constituency is taken away. 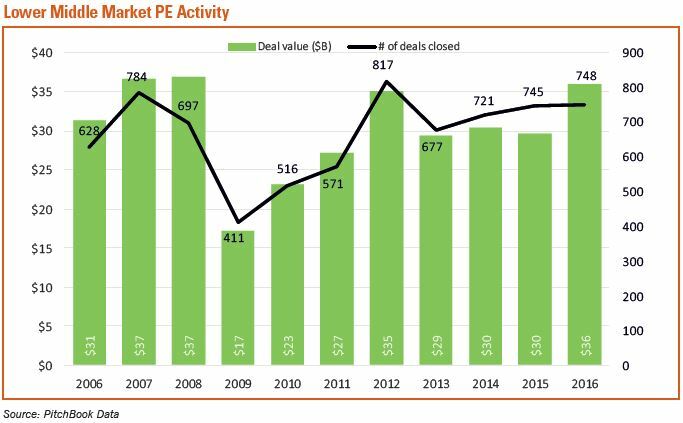 Once they understand how the new lending strategies to non-PE companies play out, they will want a say in this market through acquisitions. For these reasons, it is clear we are at the beginning of a sea change that will transform and consolidate lending options for non-private equity backed companies.